Welcome to Topretirements Best Places Newsletter for November 8. Our Blog is seeing lots of interesting comments on articles like Medicare Open Enrollment Period, and Dueling Carolinas for Retirement. Subscribe to our Daily Alert and never miss a Comment or new post. Check out the all-new Road Trip chapter of the 2017 Go Guide to Active Adult Living and Homebuying by KOLTERHOMES. We&apos;ve chronicled the adventures of Jeff and Karla, an active adult couple in pursuit of the perfect 55+ lifestyle. 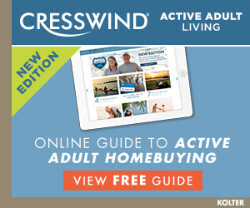 Visit Cresswind.com. Not Yet 65, But Don&apos;t Have Health Insurance? Hurry! One surprising thing about this beautiful town in south central Oregon is that it boasts 300 days of sunshine a year. There are 2 big lakes in the area; Upper Klamath Lake and Crater Lake National Park. Klamath Falls is a great town for outdoor recreation and birding. For many retirees the perfect place to retire is one where they can live downtown in the thick of the action. Restaurants, shops, culture; all these and more are abundant in these exciting small cities. Thanks to a suggestion from Ron, we were reminded that Boca Raton is a great walking town where redevelopment has been a big success. 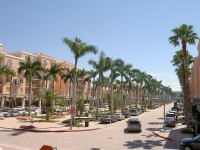 Mizner Park resembles a Mediterranean suburban "town center" with a more contemporary look. 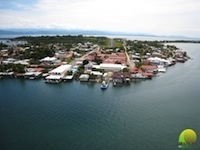 If you have been thinking about retiring in a foreign country that has a warm climate, put Panama near the top of your list. It has a lot of advantages for Americans beyond its climate, and a lot of those have to do with a friendly shared heritage with the U.S.